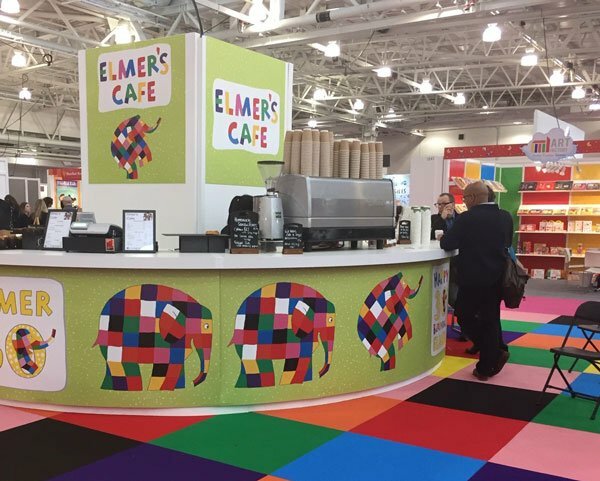 London Book Fair 2019, or affectionately commonly referred to by its acronym LBF19, was another industry triumph. Printondemand-worldwide were pleased to be the IPG sponsor and be a part of a buzzing stand, as well as having a presence in the Academic area. Kicking off the event were renowned authors such as literary hero Ian McEwan and, David McKee, whose iconic children’s book Elmer the Patchwork Elephant turns 30 this year, which frankly makes us feel both nostalgic and old. That’s the joy of the London Book Fair, you never know what you’ll find. As always there were some fantastic talks, some of which we referred in our previous blog. We enjoyed the reaction from visitors to our stand, who upon taking a book sample, were amazed by our advancement in colour inkjet technology, especially seen on the comic book page. To see for yourself, why not order your free sample book? Printondemand-worldwide have the technical ability to produce outstanding colour photo books to print your photography – at a great price. We showcased this at LBF, and the reviews were all extremely positive. Customers that we had the privilege of speaking to said they were delighted with our product and with our service; and pleased with how we’ve been driving development changes, especially over the past few months.